I have been enjoying the new digital camera that my husband bought me for my birthday. You never know where inspiration will strike! This time it was in the form of color and texture. We were shopping in a traditional market in Kuwait called Souk Embarakiya. 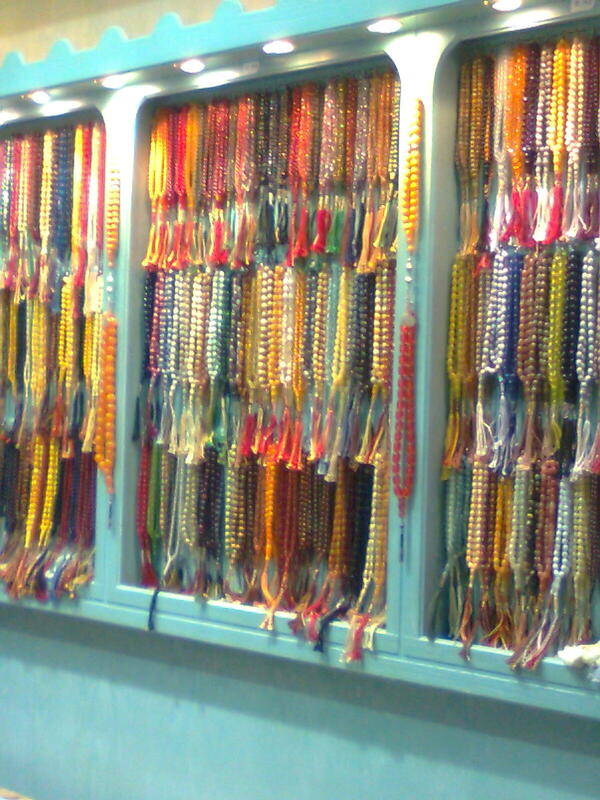 There were several prayer bead stores, but this one was the most colorful. The turquoise walls just set off the colors of the beads. 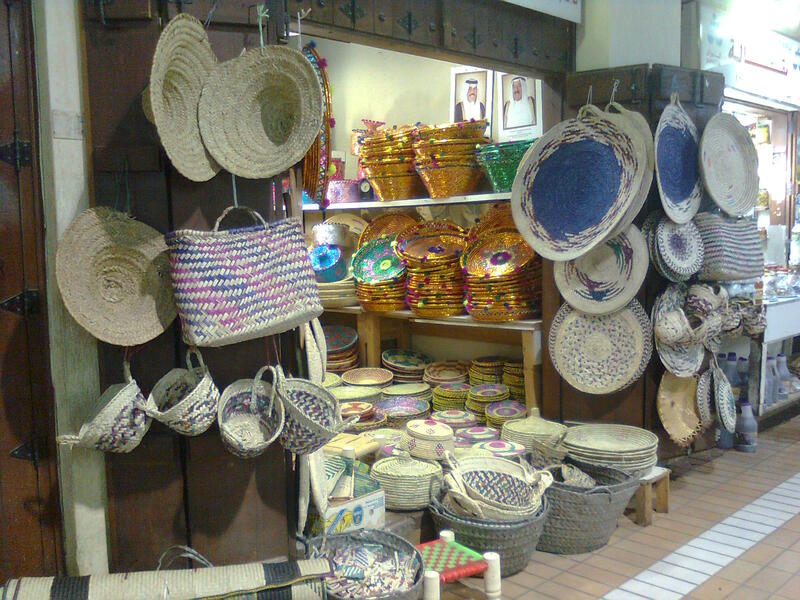 I also found the basket shop a charming example of old Kuwaiti life that is still relevant today. I especially love the gold baskets with the colorful tassels. I want to buy one some day for a festive occasion.